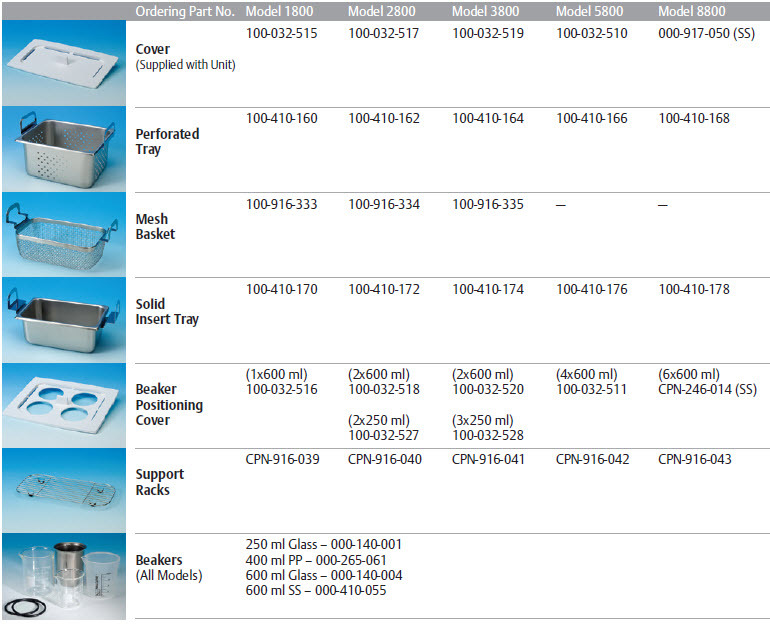 Choose the mesh basket, solid tray, or other accessory for your specific Branson Ultrasonic bath. All Branson accessories, unless otherwise noted, are all made of 100% stainless steel and assist in both cleaning and drainage. Bransonic accessories are designed to maximize the effectiveness of your Bransonic baths. It is important that parts do not rest on the bottom of the bath, as it can inhibit the ultrasonic activity and possibly damage the unit. cleaning bath to heat up more quickly. • Suspends parts using a perforated tray, mesh basket, or a support rack. • Permits sound waves to penetrate directly to the parts. • Suspends parts using a solid tray, or beakers with a beaker cover. • Ideal for cleaning small parts. 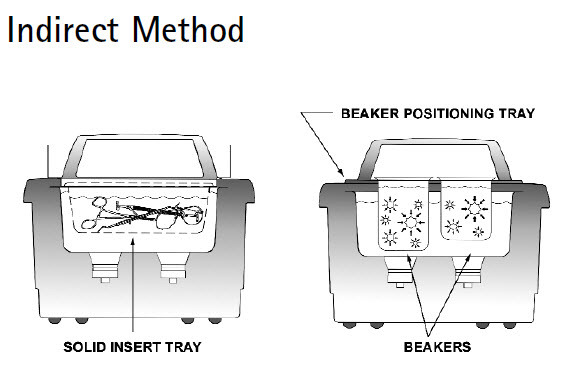 • Discarded soil cleans easily from a beaker or solid tray. 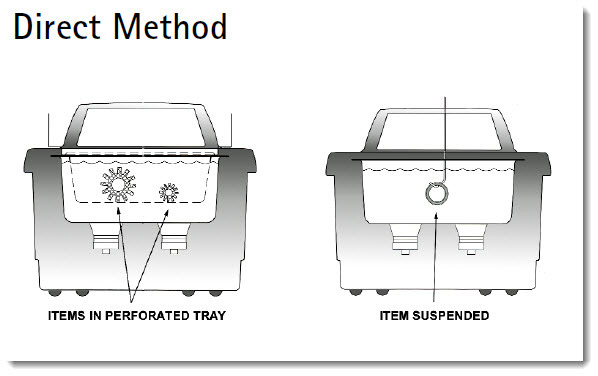 • Indirect method is ideal for sample preparation. • Perforated trays, solid insert trays, and wire mesh baskets have built-in handles specially designed to prevent accessories from touching the tank bottom. • Support racks allow total volume of the tank to be used while keeping parts, fixtures, or containers about ½" above the tank bottom. • Support racks also are useful as countertop drain racks, holding parts above the countertop surface.